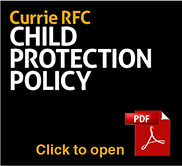 All coaches and others involved in ‘regulated work’ for Currie Rugby Club ( Currie Chieftains ) are required to be members of the Protecting Vulnerable Groups (PVG) Scheme under the Protecting Vulnerable Groups (Scotland) Act 2007 and it is my responsibility, in consultation with the Youth Section Coaching Coordinator Brian Porteous, to ensure that this is complied with in all cases without exception. In addition, I provide advice and guidance to the coaches on dealing with children and young people safely to ensure that everyone is participating in a safe and supportive environment. 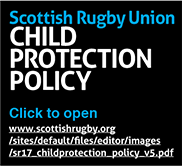 However, it is important to remember that everyone in the Club (not just the coaches) are responsible for protecting children, young people & the vulnerable.